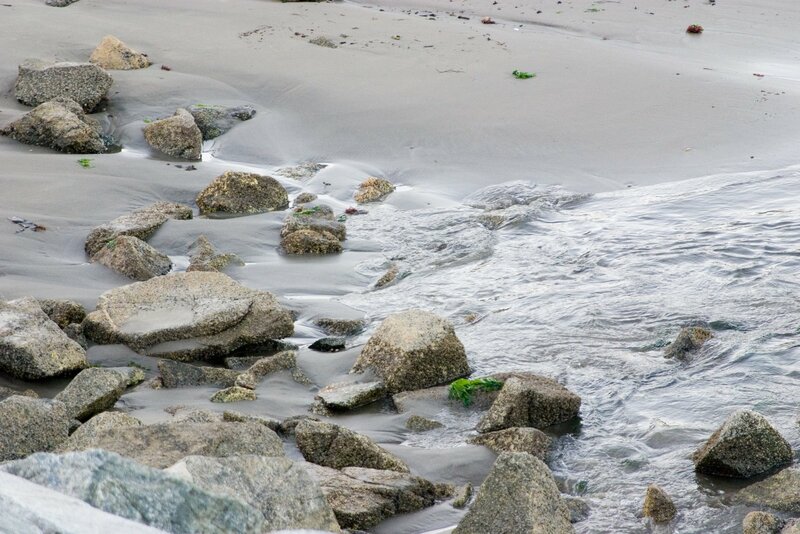 SUMMARY: Some photography at the end of the day in Monterey. What about the obligatory canine photos that makes this appropriate fare for Taj MuttHall? I saw quite a few dogs out for their evening constitutionals, but it was too dark to catch them on film. 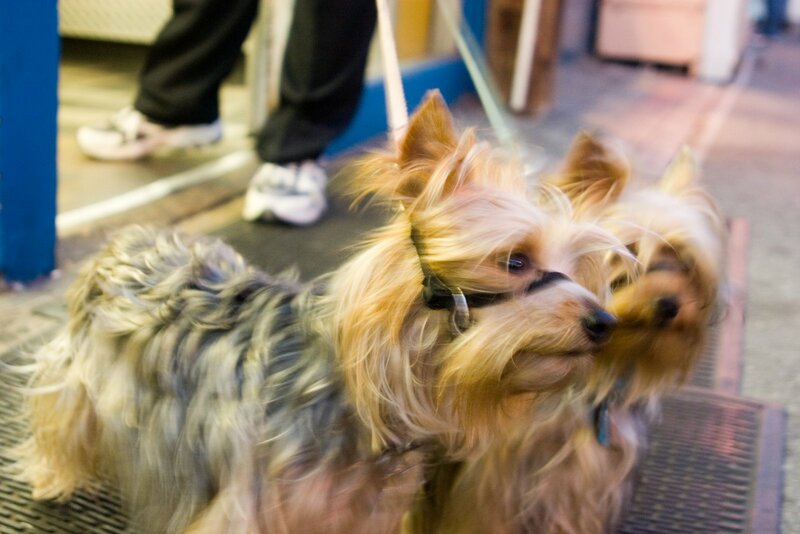 Except for these terriers, who hung around while their human mom examined a candy store. They were every which way, everywhere, and wouldn't hold still for the fraction of a second it took to click the shutter. But I kinda like the way this one turned out. Tomorrow I'm going to be shooting a tanker-load of photos on top of the 100 I snuck in in an hour this evening. Maybe someday I'll finish processing my Montreal photos so I can then go through my Monterey photos and then perhaps move on to some other Mont--Montserrat, perhaps? Yeah, sheeze! How come you're not using BOTH hands? !